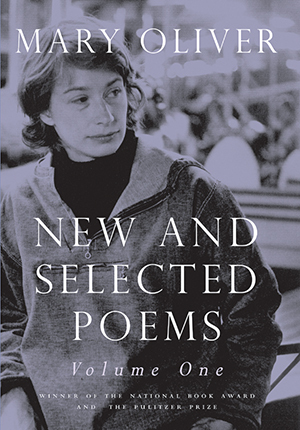 When New and Selected Poems, Volume One was originally published in 1992, Mary Oliver was awarded the National Book Award. In the fourteen years since its initial appearance it has become one of the best-selling volumes of poetry in the country. This collection features thirty poems published only in this volume as well as selections from the poet’s first eight books. "I have always thought of poems as my companions - and like companions, they accompany you wherever the journey (or the afternoon) might lead . . . My most recent companion has been Mary Oliver's The Leaf and the Cloud . . . Itís a brilliant meditation, a walk through the natural world with one of our preeminent contemporary poets." "Mary Oliver's poetry is fine and deep; it reads like a blessing. Her special gift is to connect us with our sources in the natural world, its beauties and terrors and mysteries and consolations." "One of the astonishing aspects of Oliver's work is the consistency of tone over this long period. What changes is an increased focus on nature and an increased precision with language that has made her one of our very best poets . . . There is no complaint in Ms. Oliver's poetry, no whining, but neither is there the sense that life is in any way easy . . . These poems sustain us rather than divert us. Although few poets have fewer human beings in their poems than Mary Oliver, it is ironic that few poets also go so far to help us forward." "One would have to reach back perhaps to [John] Clare or [Christopher] Smart to safely cite a parallel to Oliver's lyricism or radical purification and her unappeasable mania for signs and wonders."